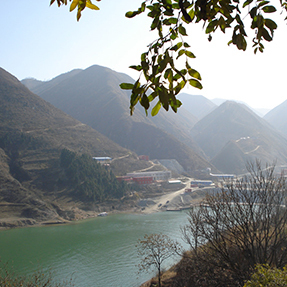 Silvercorp acquired its flagship SGX silver-lead-zinc property (also sometimes termed the Ying silver-lead-zinc property or Ying Project) in March 2004. 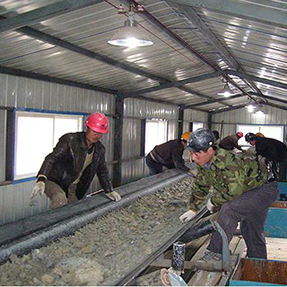 Following two years of exploration and development, Silvercorp received its mining permit on March 31, 2006, and commenced commercial production the next day on April 1, 2006. The SGX mine is the largest of Silvercorp’s six significant producing underground mining operations. 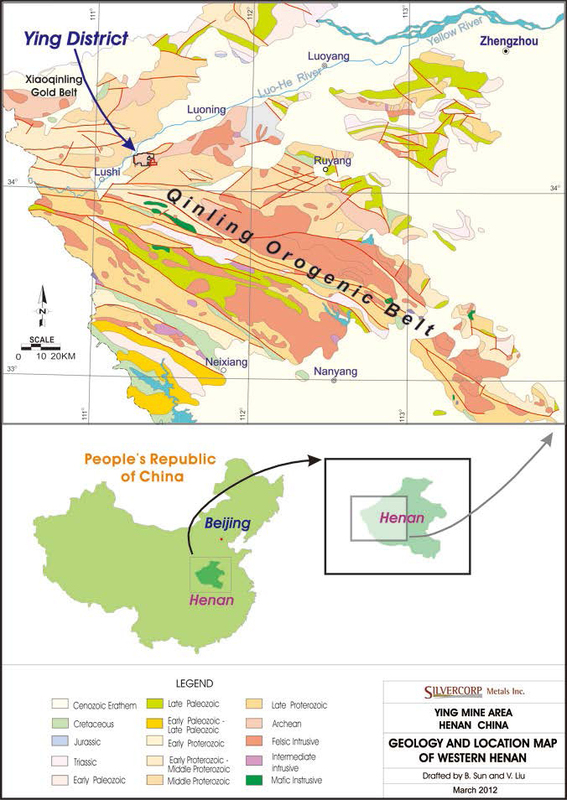 The SGX mine is located 240 km southwest of Zhengzhou, the capital city of Henan Province in central China. 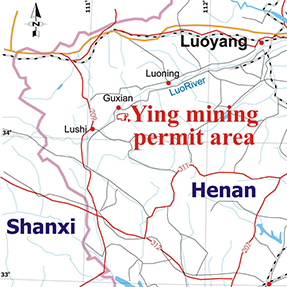 The SGX area, which includes a smaller satellite deposit, the HZG mine, is in the western part of the Ying Mining District and is permitted by the Yuelianggou Mining License, which is covering 19.83 km2 of area and between 1060 m and 0 m elevation. 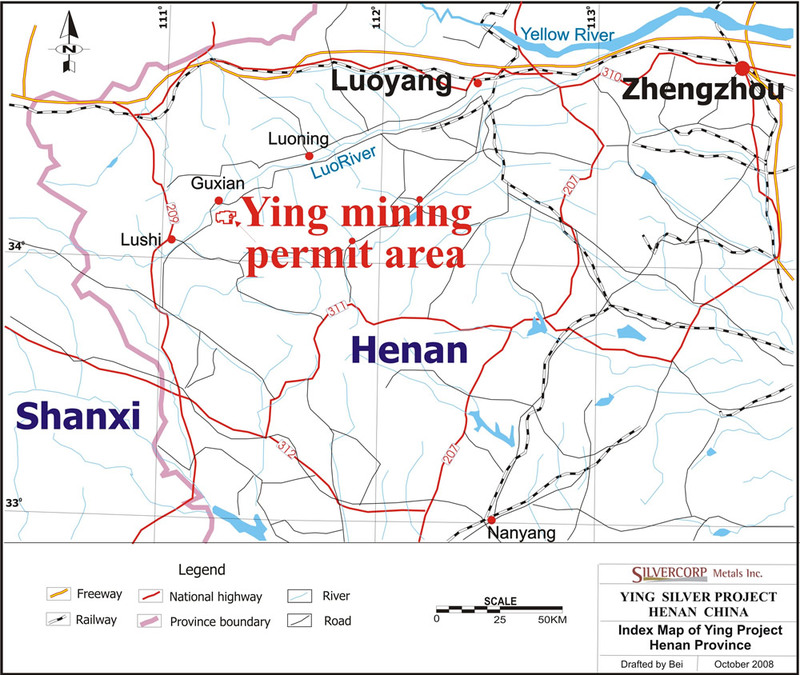 The Ying Project (as known as SGX mine currently) is 100% owned by Henan Found Mining Ltd., a sino-foreign cooperative JV company owned 77.5% by Silvercorp (through a wholly owned Chinese subsidiary) and 22.5% by the Henan Non-Ferrous Geological & Mineral Resources Co. Ltd. Silvercorp earned its full interest in December 2005 after contributing US$3.67-milllion to the joint venture company and paying US$1.5-million to the Chinese party. Henan Found operates under a 30-year business license issued by the Chinese government and has been granted all necessary permits. The SGX area has been mined intermittently over the last several hundred years by small-scale local miners. Since 1956, extensive geological mapping, airborne magnetic surveys, stream sediment geochemical surveys, local IP surveys and trenching were conducted in the area by provincial geological bureau teams, culminating in the establishment of resource estimates in late 2003. After Silvercorp acquired the project in 2004, a NI43-101 Technical Report was completed and defined silver resources of 8.3M ounces in the M&I category and 52.7M ounces in the inferred category with significant quantities of lead and zinc by-products. In 2016, AMC completed a NI43-101 Technical Report for Silvercorp after 10 years of our productions. The report calculated SGX silver resources of 59Moz in M&I category and 31Moz in the inferred category. 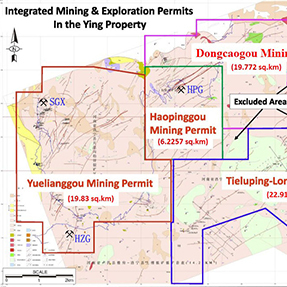 The SGX mine area has a myriad of known mineralized veins - 43 total at SGX and 12 at HZG. The veins are generally similar to those found throughout the district, occurring as sets of veins of similar orientation enclosed by steeply-dipping fault-fissure zones which extend for hundreds to a few thousand meters along strike. 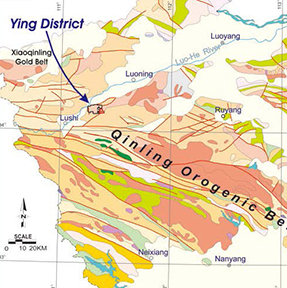 In the SGX mine, approximately 27% of the material filling the veins is strongly mineralized, with the richest mineralization often occurring in pockets or "ore shoots" having vertical and horizontal lengths measured in several tens of meters or more and widths ranging from 0.4 to 3.0 m. The mineralization consists mainly of galena (lead sulfide) and sphalerite (zinc sulfide), with small amounts of pyrite (iron sulfide) and other metallic minerals. The metallic minerals occur as disseminations or massive accumulations in a gangue of quartz and carbonate minerals. Silver is present mostly as microscopic inclusions in the galena. Click here to view latest technical report. Silver-lead-zinc ore is mined from numerous horizontal portals and stopes using both the shrinkage and re-suing mining methods. Ore transport to surface is accomplished via skip/cage hoisting (shaft), rail-cars (tracked adit and/or inclined haulageway), small tricycle trucks, or 20 tonne trucks on ramps. Some hand picking of high grade ore and of waste is carried out on surface at either ore pile or sorting belt, with transport to the centralized processing plants being via 30t and 45t trucks or barge and truck combination. Power supply for the mine comes from major power grids and hydropower generating stations located adjacent to the property. 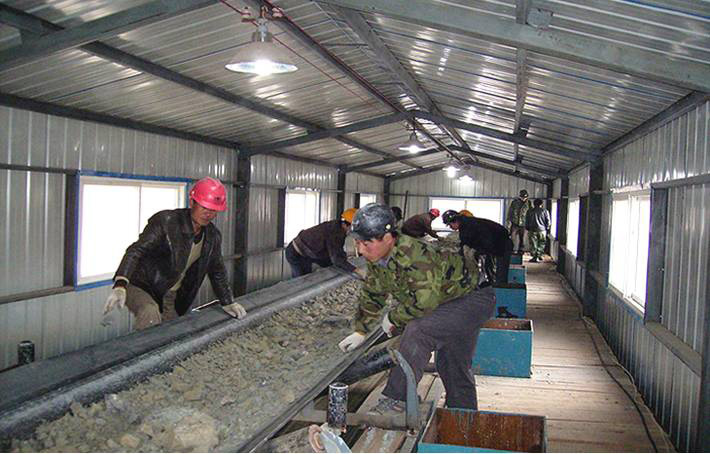 All mining and development are completed by a mining contractor. Both the high-grade ore and the waste are removed from the facility with a front end loader and the high-grade ore is hand sorted and directly shipped to smelters. Low-grade ore is stockpiled and taken to Silvercorp's central milling facility 15 km away to be turned into silver-lead and zinc concentrates. A quality control laboratory processes up to 100 samples per day using wet chemical analytical and Atomic Absorption Spectrophotometry methods. 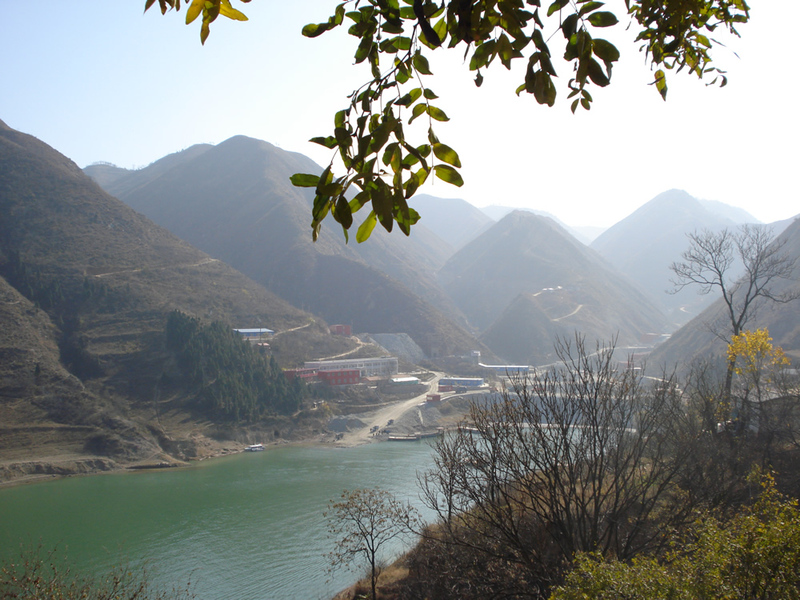 Concentrates are sold to smelters within Henan province, many located within 160 km of the mill. Payable prices are based on a 10-day average spot price on the Shanghai Metals Exchange less Value Added Tax and smelter charges. 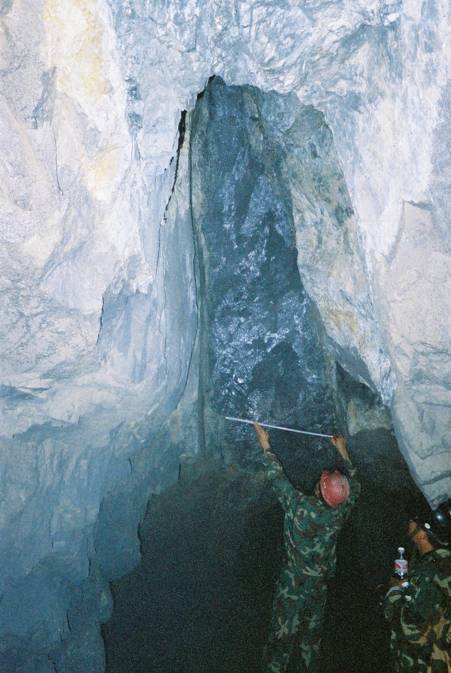 Exploration and delineation of the mineralized veins is done primarily from underground workings - tunnels, drifts, crosscuts and declines, typically about 2 x 2 m in size - and by extensive underground long-hole core drilling. Tunneling, typically at levels 40 to 50 m apart in elevation, is done along strike of the veins to define character and tenor of mineralization in the veins, and holes are drilled at 50-100 m spacing along strike to delimit extent of the veins at depth. 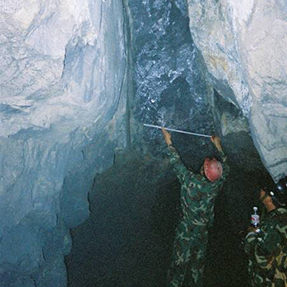 Between 2004 and June 30 2013, Silvercorp drilled 1,075 underground holes and 63 surface holes, for approximately 334,413 m of drilling and conducted approximately 135 km of tunneling in the SGX mine. 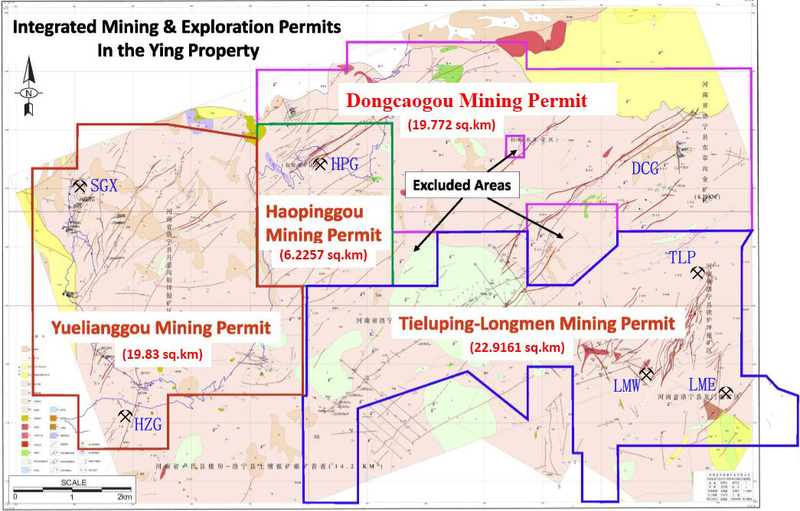 From 1 July 2013 to 30 June 2016 (refer to latest technical report), Silvercorp has completed 345 underground drill holes, 26 surface holes, for 89,181 m drilling and about 53 km tunneling exploration in the SGX mine.